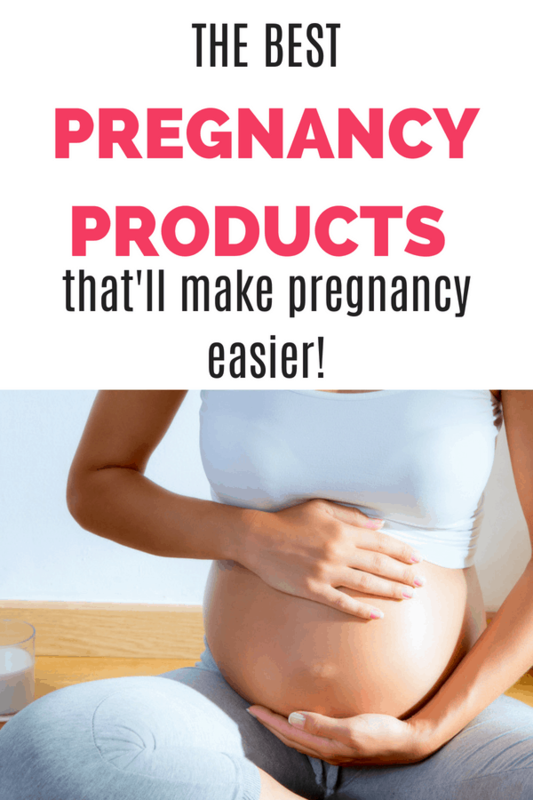 Best Pregnancy Products – Pregnancy is the absolute best time of life – followed only by even more amazing days as you bring your little one home and start on this crazy parenting journey. Let’s talk about the ugly side of pregnancy because we’re close like that. I absolutely love my readers and if you’ve found your way here, you totally count! Forgive my language, but I’m passionate about this! When you’re pregnant, people just wanna sell you crap. 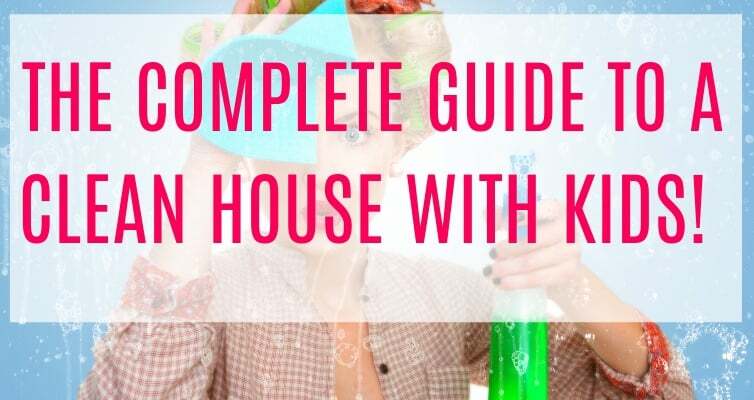 You’ll go register for your baby shower, and the store will be so incredibly helpful and provide you with a list a mile and a half long of junk you absolutely MUST have to survive with your baby. 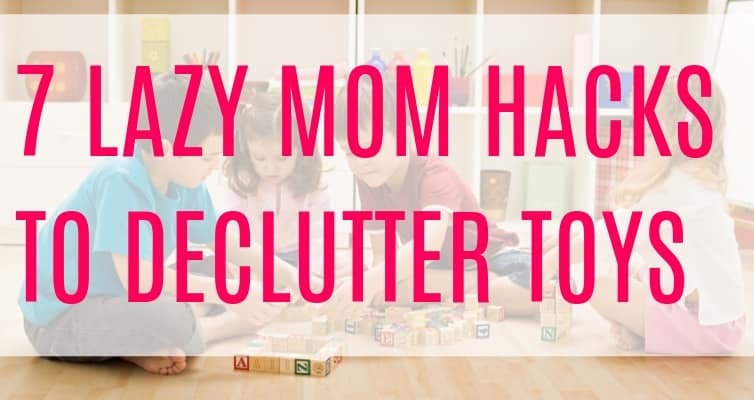 Literally 90% of that stuff will sit in your closet until you re-gift it to another poor, unsuspecting mother or sell it in a Facebook group. I’m here to tell you that there are a few products you’ll be insanely grateful to have and the rest you don’t need to give a crap about. 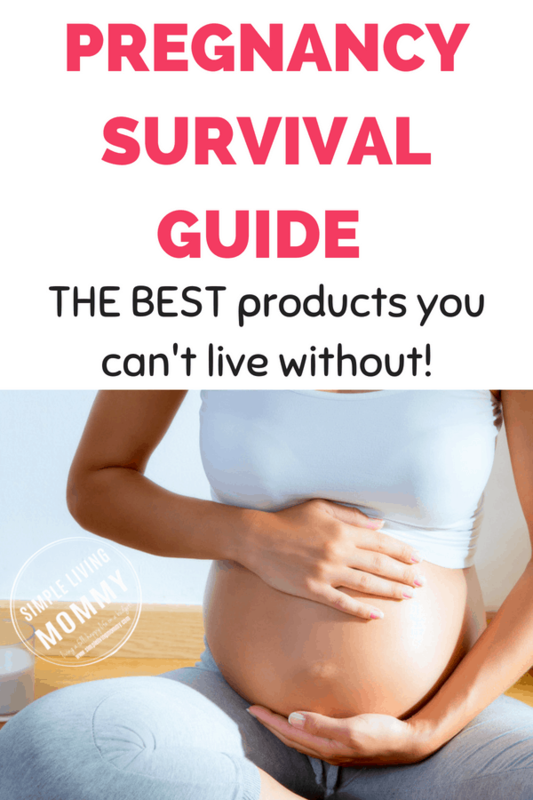 These are the best pregnancy products that absolutely saved my sanity through the last uncomfortable pregnancy days, through labor and delivery, and into the early days and weeks with a newborn. First of all, I had natural childbirths for all 3 of our kids. I don’t know why, I just really wanted to see if I could actually go through with it the first time and then just kept doing it for each baby after that. I wrote a post all about the products that got me through three completely unmediated labors and deliveries and you can find that here. Whether you plan to have a natural birth or not, I HIGHLY recommend Hypnobabies. Yes, it’s meant to be a natural birth course, but the relaxation techniques it taught me seriously help me even in traffic. It’s just that good. The farther along in your pregnancy, the harder it is to sleep. What absolutely saved my life (and sanity) was a pregnancy pillow. If you use code SIMPLELIVINGMOMMY50 at Pregnancy Pillow, you get $50 off. That’s the best deal I could find on these massive pregnancy pillows. 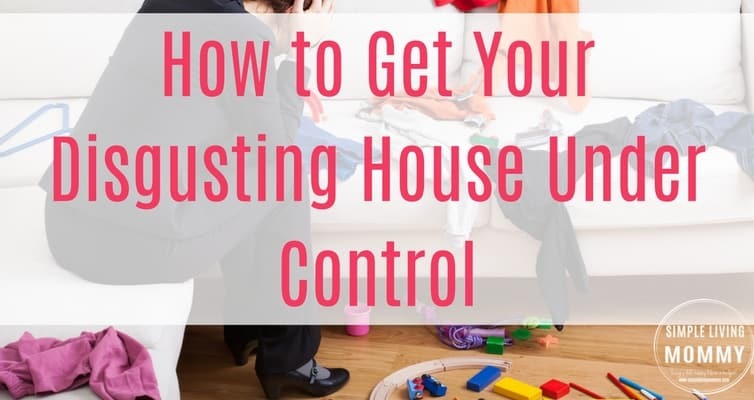 They’re USUALLY freaking expensive, but if you’ve been pregnant AND sleep deprived before, you know just how much you’ll do to get some sleep. With a $50 off deal, it’s a winner in my book. I hope you love it too! I’m also one of the lucky ones who never ever gets heart burn or indigestion outside of pregnancy, but during pregnancy – I’m miserable. By about week 33, I’m sleeping in the complete upright position because even my pregnancy pillow isn’t doing it for me anymore. These pillows saved my life. I’ll be honest and tell you that my neck would sometimes kill the next day from accidentally slouching over in my sleep, but that isn’t the pillow’s fault. I wouldn’t have gotten any sleep without being propped up like this. If you plan to breastfeed, take my advice and buy washable breast pads. Because if you buy the disposable ones and you’re sleep-deprived AND handling a new baby, you’re going to end up washing one and they have the same stuff in them that diapers have. So you’ll end up with a washer full of diaper gel. I’ve used the same breast pads through 3 pregnancies and absolutely LOVE these ones. I also have a code for $35 off – SIMPLELIVINGMOMMY35 (so you can get MANY of these for FREE if you just pay shipping) at Breast Pads.com. They have such cute patterns – they’re the only company I know that can make breast pads actually adorable. My insurance actually covered my breast pump, but I thought it was a huge hassle to put the whole thing together, pump, store the milk, wash out all of the little pieces, and then put the stupid thing away. Pumps are a godsend to some people and I totally respect that. If I worked and had to pump, I would absolutely use the one I have. For my purposes, a hand pump just works better and I love it. Back pain plagues almost all pregnant women. You just can’t seem to escape it. Your belly is growing faster than your back can keep up with. Aside from having your partner give you daily massages (which you absolutely SHOULD take the opportunity to do!) pick up a birth ball. I used this one and just sat on it to help get baby in the right position AND to improve my pregnancy posture. Belly binding is also incredibly helpful for most mamas-to-be. I personally haven’t done it, but my friends that have say it worked miracles. As your belly stretches you’ll feel this itchy feeling that becomes unbearable when you’re not distracted. One of the best pieces of advice I received about avoiding stretch marks was to NOT SCRATCH. Instead, try lotions like these that help ease that itchy feeling and keep your skin supple to help avoid stretch marks. Not exactly pregnancy related, but baby related so I feel like it counts. If you get lucky and have a baby that needs to be held all the time like I did, buy a baby carrier and thank me later. It’s how I have any use of my arms. I bought a Moby wrap and that was a joke. I’m not a baby-wrapping ninja. I needed something I could throw on at the grocery store and go shopping without my baby being an inconsolable mess while my toddlers run around like neanderthals. Side Note – I do love my children, I promise. Even though I get a huge kick out of calling them names like tiny terrorists and little cave men. It’s all in good sarcastic fun. Okay, moving on! Again, not pregnancy related, but this helped give me my mobility back while I was getting used to taking a tiny human with me everywhere. It quite literally helped me save my sanity and get out of the house. With our first baby, we didn’t even have a car seat the day I had him. My best friend was sweet enough to buy one and bring it to us at the hospital since he made his debut before we even got to have his baby shower. We never got around to buying a stroller to help us get around. Instead, I lugged around that car seat everywhere we went. The day I bought this frame stroller, I swear I felt like I got a piece of my freedom back. Obviously buy one that is compatible with your infant car seat, and don’t bother if you have a nice, lightweight stroller that you already love. This is just what worked for me – but I mention it here because it REALLY worked. 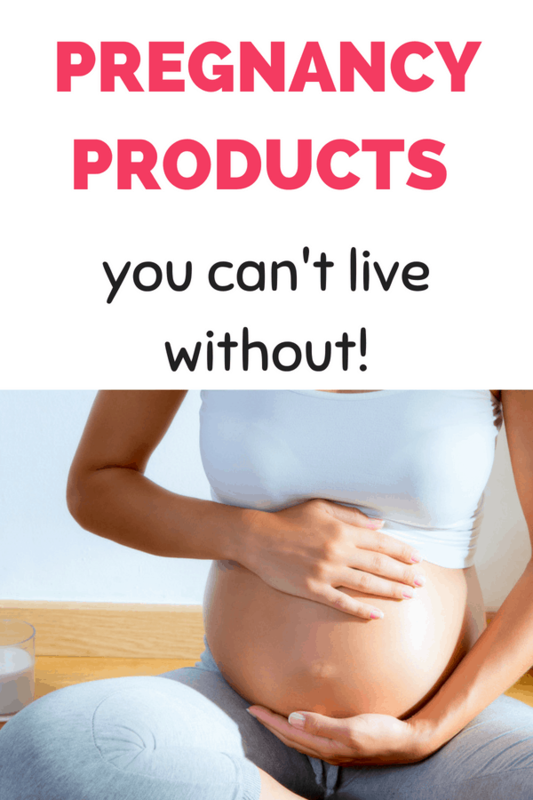 What pregnancy (and new baby) products have you found that you just can’t live without? Let me know in the comments!